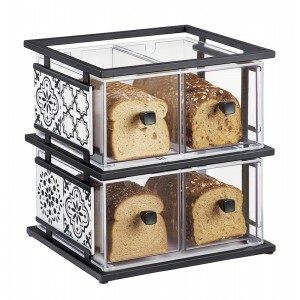 Granada Bread Display - Cal-Mil Plastic Products Inc. This 4 section display is perfect for high-volume areas! Each drawer is independently removable for easy access and cleaning. The spanish styled tiles line the outside of each drawer to provide the perfect amount of detail.